From 1939 to 1946 Americans gathered around the radio to listen to The New Adventures of Sherlock Holmes-featuring Basil Rathbone as the high-strung crime-solver and Nigel Bruce as his phlegmatic assistant, Dr. Watson. Witty, fast-paced and always surprising, these great radio plays, written by the prolific writing team of Anthony Boucher and Denis Green, are as fresh today as they were then, and feature perfect sound along with nostalgic war-time announcements, original narrations and radio commercials. When Basil Rathbone and Nigel Bruce were chosen to play Holmes and Watson in the 1939 film The Hound of the Baskervilles, no one realized that they would be forever linked with the chracters of the great detective and his loyal friend. The immediate success of the film led to their being chosen to portray Holmes and Watson on the radio for 8 years in 213 episodes of the Sherlock Holmes mysteries. When Basil Rathbone and Nigel Bruce were chosen to play Holmes and Watson in the 1939 film The Hound of the Baskervilles, no one realized that they would be forever linked with the characters of the great detective and his loyal friend. 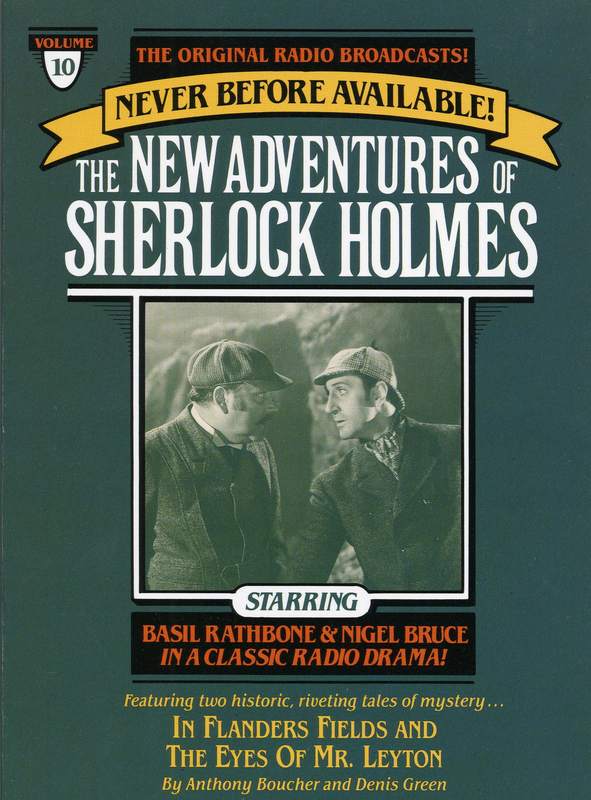 The immediate success of the film led to their being chosen to portray Holmes and Watson on the radio for 8 years in 213 episodes of the Sherlock Holmes mysteries.